We have a bit of exciting news: we have a new home-on-wheels! That's right, we're selling Serenity, our fifth wheel, and have purchased a Class A motorhome. We'll write another post introducing you to our new digs soon, but first we wanted to talk about why we made this decision and provide some pros and cons for towables and motorhomes. Quick note: this list doesn't discuss truck campers, pop-up campers, bus conversions or expedition vehicles. If you're new to the RV world, you may be wondering what a towable is, exactly. The short answer for the purposes of this article is a travel trailer or a fifth wheel. It's any RV that is towed by another vehicle, rather than propelled by its own engine. So what's to love about towables? Plenty. They usually have a lower price point. Since towables don't have an engine, they're less complicated to make and cost less. For someone looking to enter the RVing lifestyle, this makes them an attractive option, especially if you already own a good tow vehicle. They are plentiful. When you're RV shopping, you'll find a lot of travel trailers to choose from, both used and new. This means there's a pretty good chance you'll find one that suits your preferences. You only have to maintain one engine. Since you'll be towing your trailer or fifth wheel with your truck or SUV, you won't also have to keep a motorhome engine in tip-top shape. They're relatively lightweight. Yes, there are some outrageously heavy towables out there. Our Ford F-350 diesel pickup truck with dual rear wheels was pretty much maxed out with the weight of our 36' fifth wheel. But in general, towables are lighter than motorhomes, meaning you're less likely to need a special driver's license or have to worry about weight restrictions on roads. They're modular. While motorhomes are like a limited dinner menu, towables are like an a la carte buffet. What do I mean by that? Well, with a motorhome, a lot of the systems are built in. There is a built-in propane tank, and a built-in generator, for instance. With a fifth wheel or travel trailer, the propane tanks can be removed and swapped out, and it's up to you to provide your own generator. While this might be a little overwhelming, for someone who likes to perform product research and purchase items that exactly fit their specifications, this is pretty awesome. Fifth wheels in particular have SO much living space. 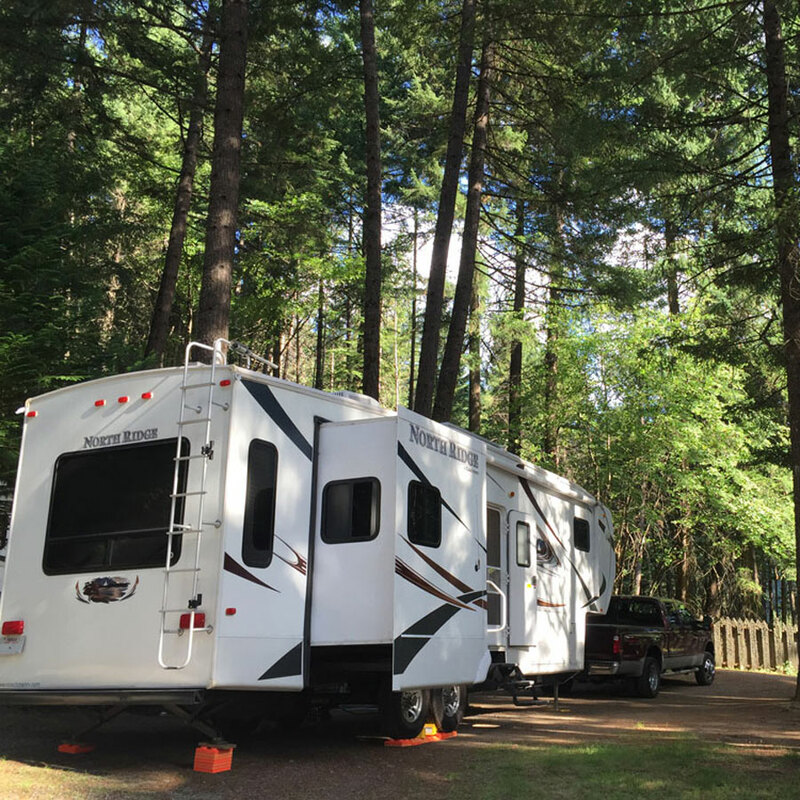 With tall ceilings and often multiple slideouts, there's lots of room for you and your family or friends to relax on camping trips, or for you to spread out for full-time living. Our fifth wheel's ceiling is so tall, we actually have a residential ceiling fan. It will be missed. Backing up isn't an issue. Where motorhomes can't back up when they're hitched up with a toad, it's no problem for towables to head into reverse. Let's define "motorhome" before we start listing all of its perks. A motorhome, for the purposes of this discussion, is a Class A (gas or diesel motorhome), Class B (vans) or Class C (with a bunk over driver and passenger seats) vehicle that has its own engine. They don't turn corners as widely. Granted, if you compare a super-short trailer with an extra-long motorhome and towed vehicle (or "toad"), this might not be true. But if you compare side-by-side same-length setups, motorhomes don't have to take turns as widely as fifth wheels and travel trailers do. This means less sweating on narrow roads and sharp turns. They are well-made. There are always exceptions to every rule, but in general, Class A and Class B motorhomes in particular tend to be better made than towables. The materials aren't so cheap, the insulation is better, and they're just more durable in general. Passengers can make a sandwich while rolling down the road. Or pick up something that has fallen. Or use the bathroom. That last one is a big deal for me, not gonna lie. You can tow a normal-sized car. Instead of taking a huge truck into town for every little errand, with a motorhome, you can bring your Jeep, sedan, Smart Car, SUV or whatever you'd like--so long as your motorhome is weight rated to tow it. Set-up and take-down is easier. Again, this is not always the case, but with a built-in leveling and stabilization system, an onboard generator and your house right there, you can roll into a campground and set up for the night without ever stepping outside the door. Everything is built-in. Remember the limited dinner menu versus a la carte buffet? If you'd rather the convenience of built-in systems, you can't go wrong with a motorhome. Ready to level? For many new rigs, just push a few buttons. Want to start the generator? Again, just push a button. You don't attract as much negative attention. We chatted with our friends Nikki and Jason Wynn about our thought process before we made the leap, and Nikki pointed out something nice about motorhomes I hadn't considered before. Say you're going to do some good old-fashioned Wal-docking (boondocking in a Wal-Mart parking lot). You arrive in your fifth wheel and unhitch so you can take the truck to run errands. It's now obvious you're not at home. If you arrive with your motorhome and unhitch your toad to run out for a bit, on the other hand, there's no indication you're away. With all that good comes some bad, so let's look at the flip side of the coin for travel trailers and fifth wheels. Set-up and take-down require some time. After full-timing for a year and traveling every 1-2 weeks, we finally got our set-up and take-down to thirty minutes each--not including a dump. Our process included getting our side-to-side level, then dropping the landing gear on pads, then unhitching from the tow vehicle, then leveling front to back, then stabilizing, then bringing out the slides. Not to mention hooking up utilities and breaking out the generators from the truck bed. If we're doing all of this in bad weather, in the dark or under unusual circumstances, this process can take upwards of an hour or more. We're no experts at getting set up with our motorhome yet, but we can already tell it's going to be a faster process. Some towables at higher price points have automatic leveling systems, though, so this isn't always an issue. Tow vehicles can be big. For lightweight towables, you might be able to get away with an SUV or small truck as a tow vehicle. We have a dually truck, which turns corners like a lumbering behemoth, but even that is still considered a light duty pickup. Some fifth wheel owners tow their RVs with medium or heavy duty trucks, which offer towing power and stability at the cost of a larger size. Imagine wheeling one of those bad boys over to the grocery store or dentist's office. Tow vehicle cost + towable cost can be higher than the cost of a motorhome. Sure, towables are usually less expensive than motorhomes, but if you have to buy a big ol' tow vehicle, your total cost can escalate higher than that of an RV with its own engine. We haven't sold our fifth wheel and truck yet, but we're hoping to be able to come out more or less even by the time we buy a toad to go along with our motorhome. Caveat: our fifth wheel is 8 years newer than our motorhome. About that a la carte dinner... It can be a pain to have a modular setup. You've got to research every component independently and secure external ones (like generators) outside so they don't get stolen. A strength is also a weakness, in this case. True to form, there are exceptions to this rule, as some towables do have generators on board. Not as well-made. This isn't always the case, but towables are usually of inferior build quality, compared with motorhomes. Expect things to deteriorate a bit faster, especially in trailers. Caution: wide turns. The shorter the setup, the fewer problems there will be on this front, but it has ended up being a frustration for us. Between our 36' fifth wheel and long-bed pickup truck, when we're hitched up we're around 45' feet long. The truck turns corners first, and then the fifth wheel follows it, rounding off the corner. Turning anything sharper than 90 degrees is sweat-inducing, and it's impossible on two-lane roads if there's oncoming traffic. And don't get me started on doing three-point turns. Remember that song, "Give me forty acres, and I'll turn this rig around"? Yeah, that's us sometimes. Watch your height. This is really only an issue for newer, tall fifth wheels, but they can be as tall as a semi-truck. This means you'll have to pay a lot more attention to low clearance warning signs. Backing up isn't an option if you're towing. For those motorhome owners who tow a car behind, your gearshift should never go into reverse. In order to back up, you'll have to unhitch the tow vehicle. You can lose some square footage in the front. Compare a 36' motorhome to a 36' fifth wheel. You'll notice there are several square feet of space lost in the front of the motorhome for the driver's seat, passenger's seat, engine (for gas RVs; diesel pushers' engines are in the back) and sometimes even a door. Usually the seats can turn around at least partially when the vehicle isn't in motion to help reclaim some of this space, but in a towable, 100% of the space is for living. You lose some living area height. Compared with a fifth wheel especially, the ceiling is a lot closer to your head in a motorhome. This means the living area can feel a bit more cramped. Cost can start high and depreciate quickly. 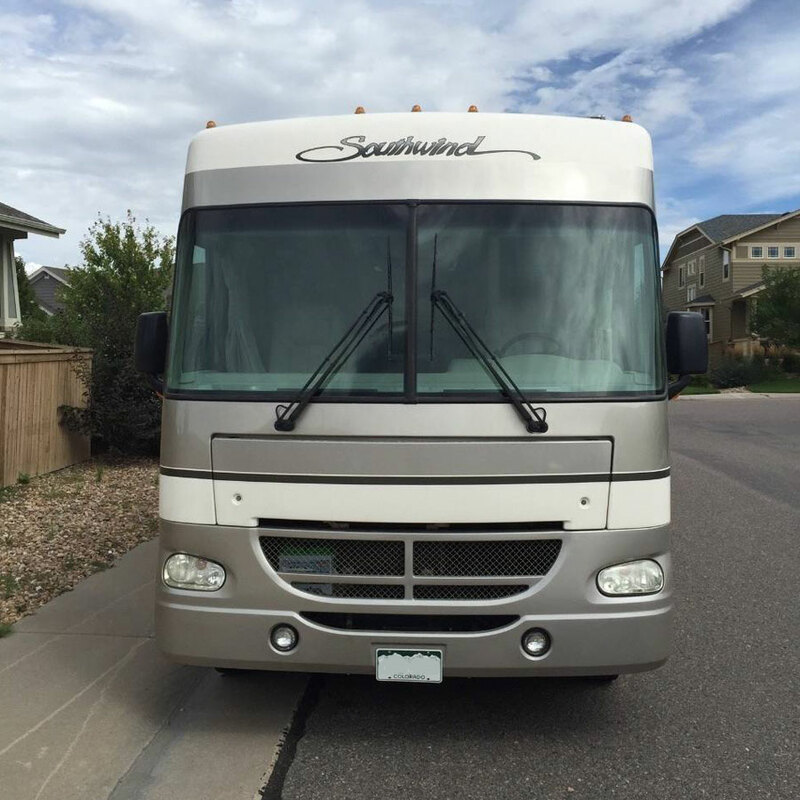 You shouldn't ever buy an RV (motorhome or towable) as an investment. It's going to lose value, except in a very few circumstances. That being said, motorhomes can be costlier at the beginning and depreciate in value more rapidly than towables because of their engine. Diesel motorhomes in particular are pricy, although they seem to hold their value better than their gas counterparts. If you have a toad, you have two engines to maintain. And two vehicles to keep up-to-date with state registrations and inspections, etc. Some repairs and maintenance costs can be pricier. Take, for instance, new tires. We can expect to spend at least twice as much to replace all 10 tires with our motorhome setup as we could with our fifth wheel setup. Also, maintenence costs of motorhome engines, particularly diesel, can be pretty hefty. Toads can present another towing hassle. If you choose to travel with a tow vehicle, prepare to build in some time hitching and unhitching it each time you're ready to go or stop. 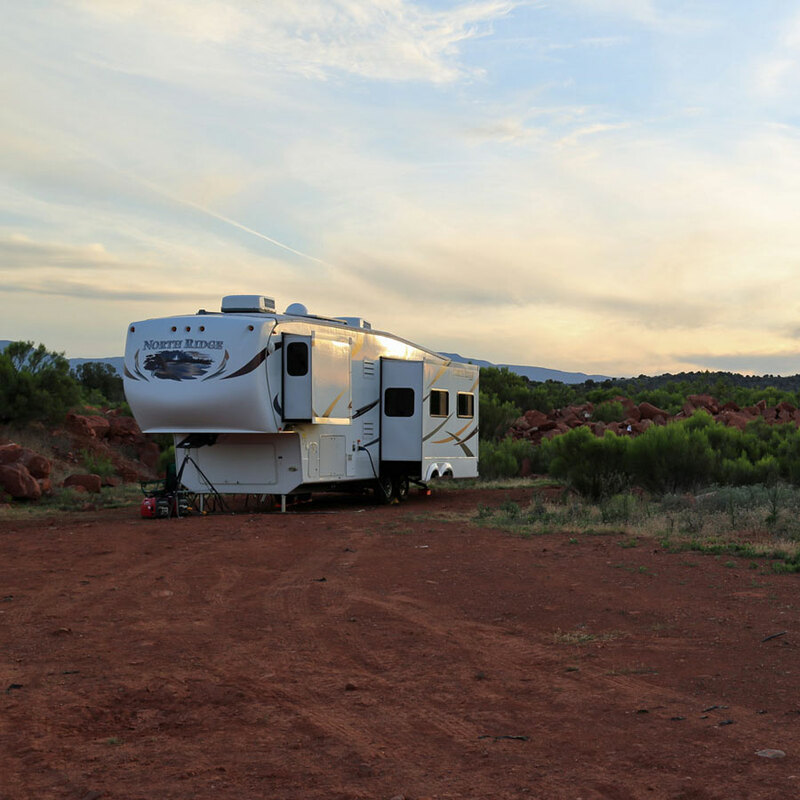 One of the reasons we chose to buy a fifth wheel initially is that we didn't want to lose our entire house to the shop each time our engine needed a repair. I've heard this listed frequently as a pro for towables and con for motorhomes. But here's what has happened to us in actuality. When our truck goes into the shop, our fifth wheel is stranded. Not so fun, especially when we really need to dump our tanks or vacate our campsite. And when our fifth wheel is in the shop, most repair shops will still let us stay in the RV for the evening. We have spent 35 out of the last 343 days (10% of the time) sleeping overnight in repair shop yards. Bottom line on repair shops: they're a fact of life for full-time RVers, and having a motorhome or towable won't keep you away from them. We love Serenity and Dovahkiin. 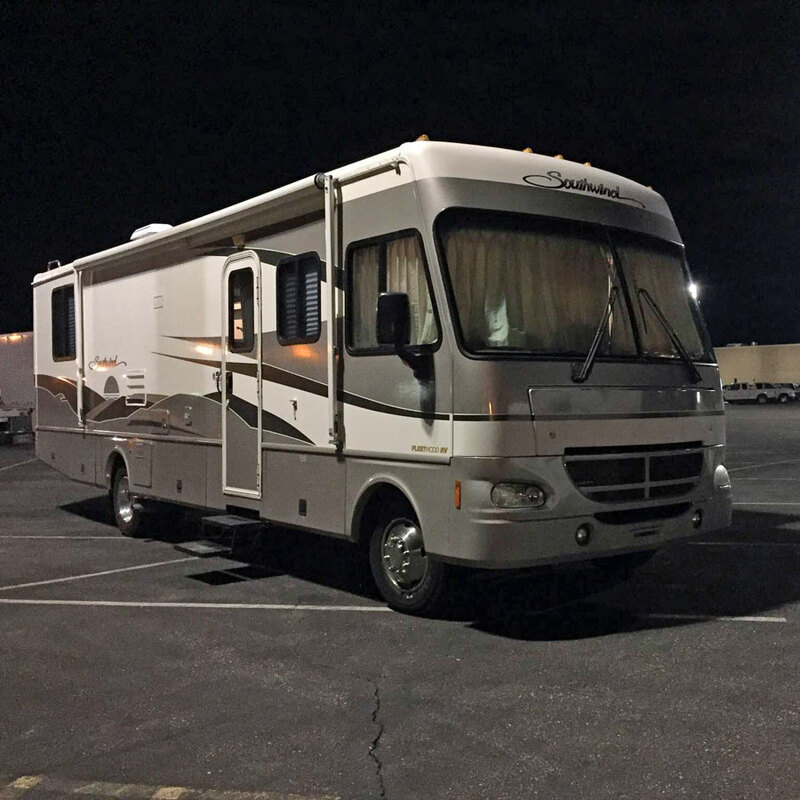 They have been a great fifth wheel and tow vehicle setup for us, reliably getting us from Texas to Alaska and back, with a whole lot of cool stuff in between. The amount of living space in Serenity is pretty amazing, and we've learned how to drive large rigs with finesse. We think this setup would be perfect for someone who liked to move a handful of times each year. 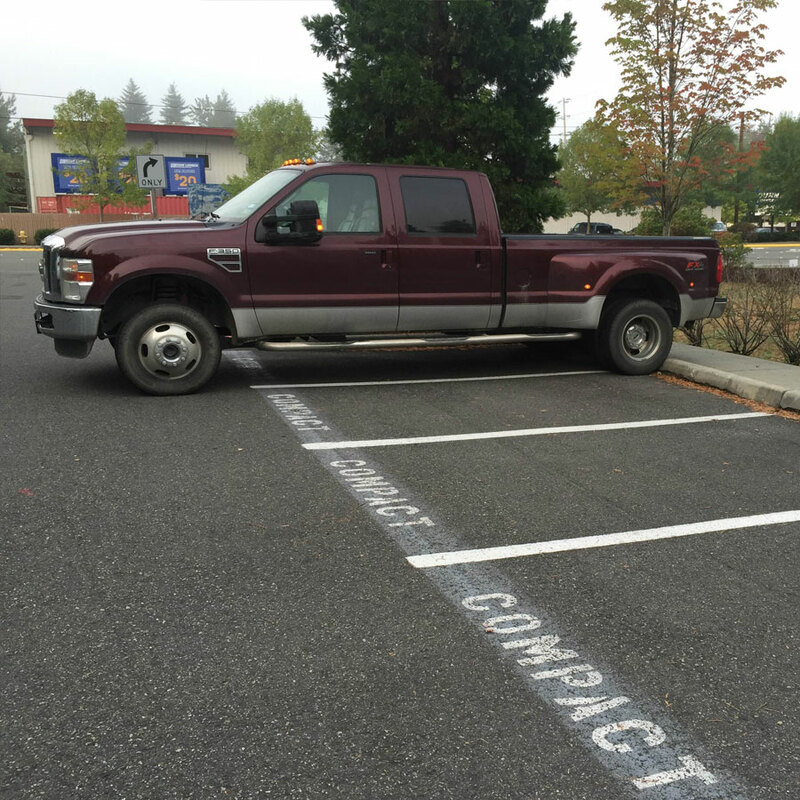 That one time when the doctor's office in Seattle only offered compact parking spots? Yeah, that was a fun day. Manually leveling can be time-consuming at best and tear-your-hair-out-difficult at worst. At 36' feet long, we were utilizing the space less and less, meaning we could very easily adapt to a smaller rig, all the while carrying extra linear feet that restricted us from entering certain campgrounds and made our turning radius all the wider. Our three slides make it impossible to access anything but the kitchen and bathroom when the slides are in. We can't even open the refrigerator door. For quick stop-overs, this means we almost always have no choice but to go through the whole process of leveling, unhitching and taking out slides just to sleep for the night. We hope we have resolved these issues with our motorhome. It doesn't take nearly as long to set up and pack up. Leveling requires just the push of a few buttons (once we've gotten the hang of it, at least!). We will have a smaller toad to take into town and on errands, rather than a big ol' dually. Our motorhome is 32' long, and that's just fine with us. The motorhome has only one slide, and even when it is in, everything in the RV can still be fully accessed. Only time will tell if we've made a good choice, but regardless, we're excited about the next leg of our journey. If you're an RV owner, what were the factors that were most important to you in buying an RV? If you're not an RVer, which direction do you think you would swing?